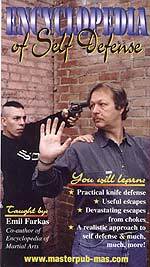 Get the nitty gritty on real self defense for the street by Emil Farkas the Hollywood Sensei to the stars. Master Instructor Farkas was a body guard for years to some of Hollywoods elite and h is self defense techniques are not theoretical but they are practical and they are road tested. You will learn self defense in a realistic way that only a master instructor can teach which he does from experience. The video includes how to get away from chokes holds and strangles as well as hand and wrist grabs. We emphasize that this is not about any one style of self defense but rather all styles of self defense.